Winter is a challenging time of year, but by taking a few common sense steps, you can help maintain safer roads, sidewalks and prevent other winter-related risks. Make note of the storm drains around your property before it snows. Keep the drains clear by removing all snow and other debris to avoid flooding. Property owners must clear the sidewalks around your home or business of snow and ice. See the Traffic and Parking Bylaw for details. 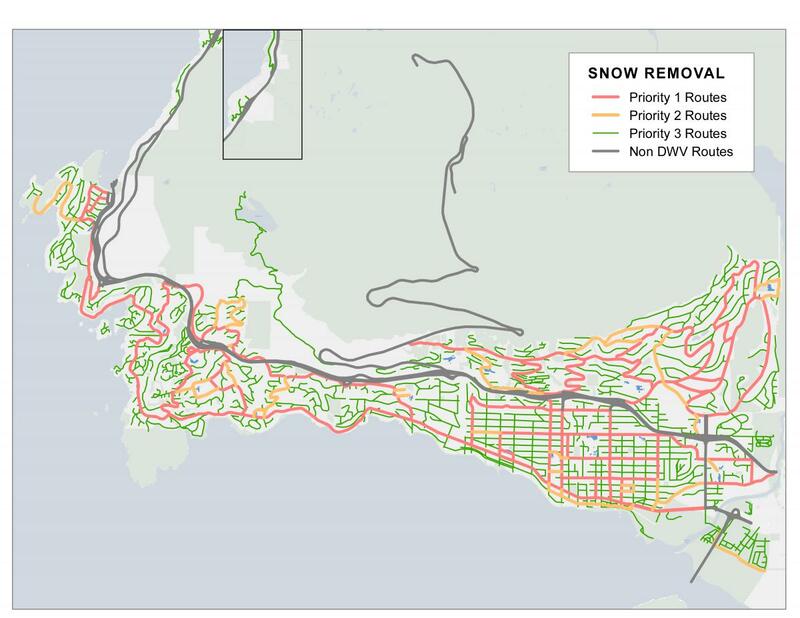 During a snow event, we will remove snow from streets on a priority basis. Priority 1 routes: Bus routes, emergency routes, arterial roads (e.g. Marine Drive) and major collector roads (e.g. 15th Street) are the first to be cleared. During longer storms, primary roads—especially bus routes—are repeatedly plowed to ensure that everyone has a viable transportation alternative. Priority 2 routes: School routes and minor collector roads (e.g. Bellevue Avenue) are the second to be cleared. Priority 3 routes: Local roads, cul-de-sacs, footpaths and footbridges will be dealt with after the weather disturbance has passed and/or Priority 1 and 2 routes are in a safe and stable condition. Please be patient! Did we miss your pick-up? 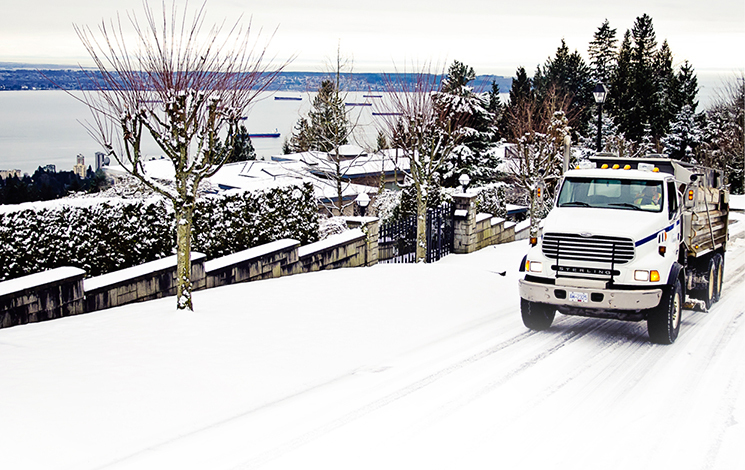 Your collection schedule may have to be suspended during periods of snow and ice. Please securely store your material until your next scheduled collection day. Ensure it is securely stored overnight to avoid attracting wildlife. prepare an emergency kit for your home and vehicle, including candles, matches, blankets, a shovel, booster cables, water and some non-perishable food. Visit North Shore Emergency Management for more information.